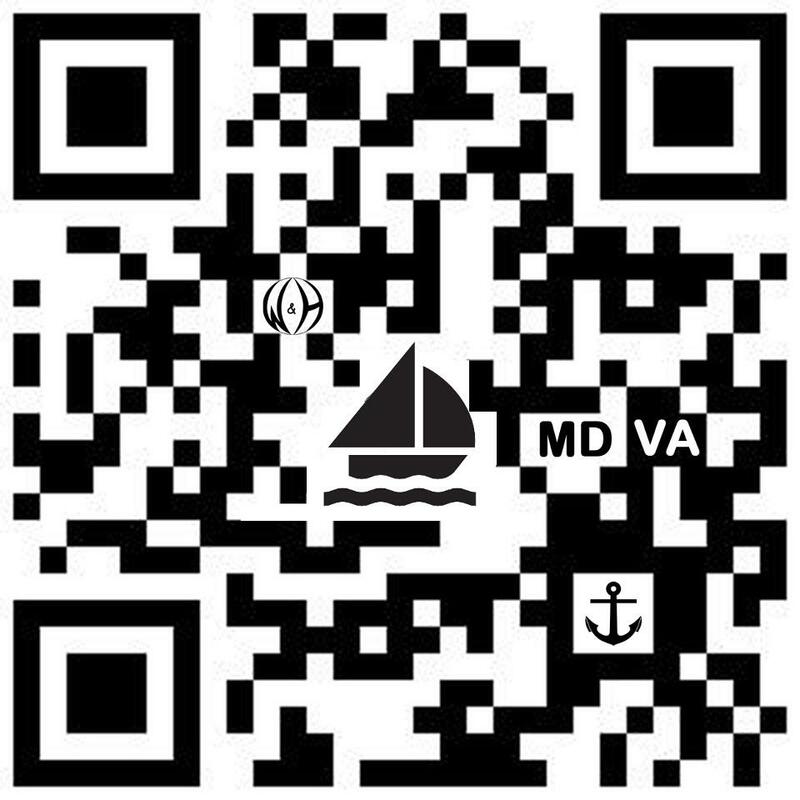 You can scan this code with your smart phone to learn about the Williams & Heintz Cruising Guides, chartbooks of the waters of Maryland and Virginia. “Look! They’re putting those on girls now!” This quote is just one of the entertaining reactions we got when I made sweatshirts, with the QR Code® (Quick Response, 2D Codes). 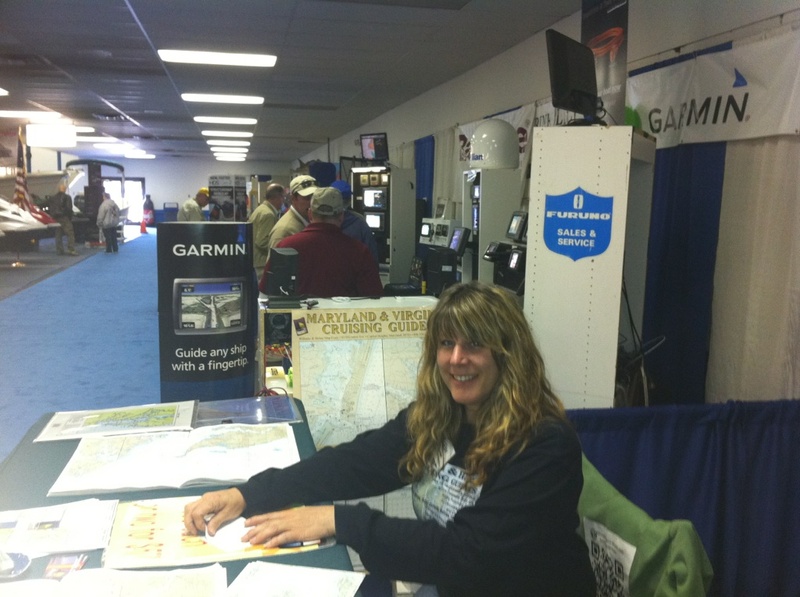 I made them to wear at the boat shows, where we sell our chartbooks. The QR Code, on the back of the shirt links to the chartbook website. The QR codes work well as a conversation starter on my daughter’s sweatshirt, and they put the link directly onto the phone of our customers. 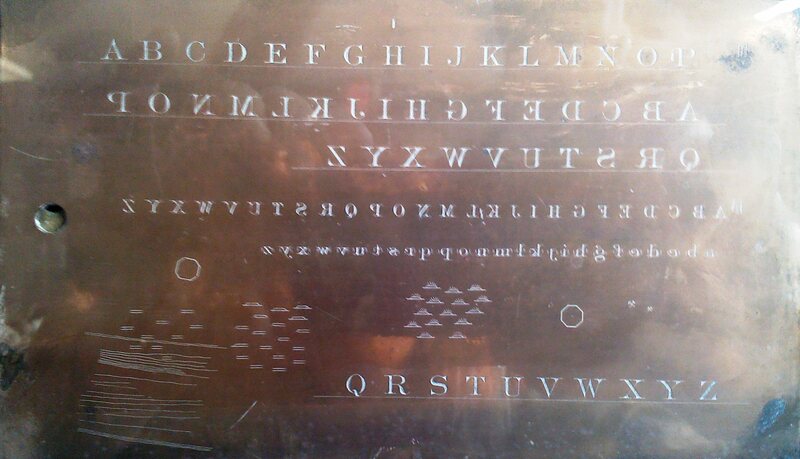 As a printer, I see a lot of information about the QR Code, as I search for new ideas to add value to map printing. And I see so many ways to use them. Now, I realize that most people are not specifically going out to buy a smart phone for the QR Code reader, but as a printer, this was the tipping point that gave it value to me. QR codes are a link from print on paper to the digital world. Scan the code to get more information. It is easy to download the app, if your phone doesn’t have one. My kids get new apps all the time, what’s the big deal? But QR Codes on sweatshirts have also made me the cool and popular mom with my teenagers and their friends. Using the QR Code, on shirts and in show displays, has worked out well because it is still new to many consumers. People stopped to ask about the codes and try out the new technology on their new phones. 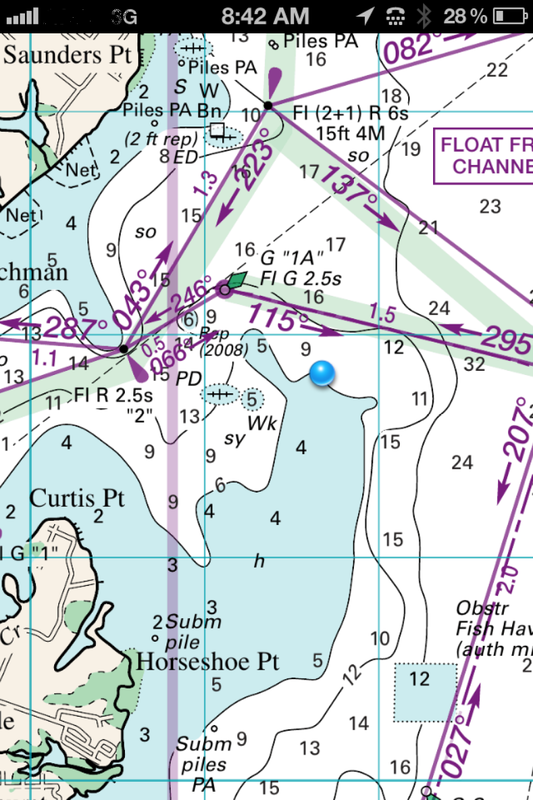 Maps are a great place for QR Codes. QR Codes on maps have got to be, hands down, one of the best uses. As I have said before, a map is not just to get someone from one place to another. That information is readily available in numerous formats and media. 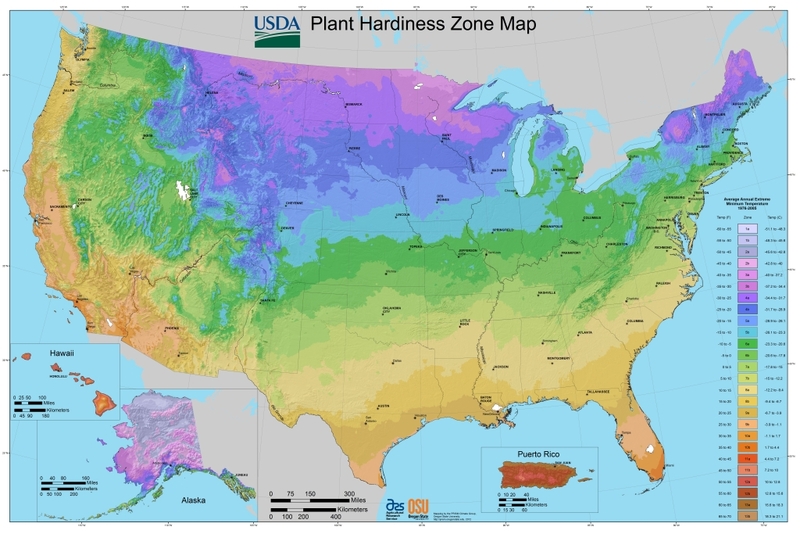 Maps communicate lots of information about the location being mapped. QR Codes quickly and easily connect you to more information. 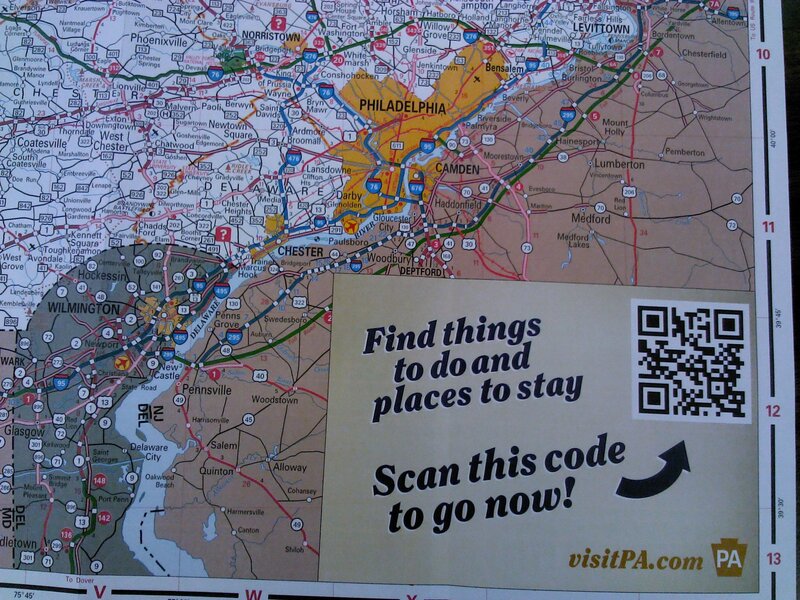 The Pennsylvania Tourism & Transportation Map uses QR Codes to highlight places to go and things to see on the map. 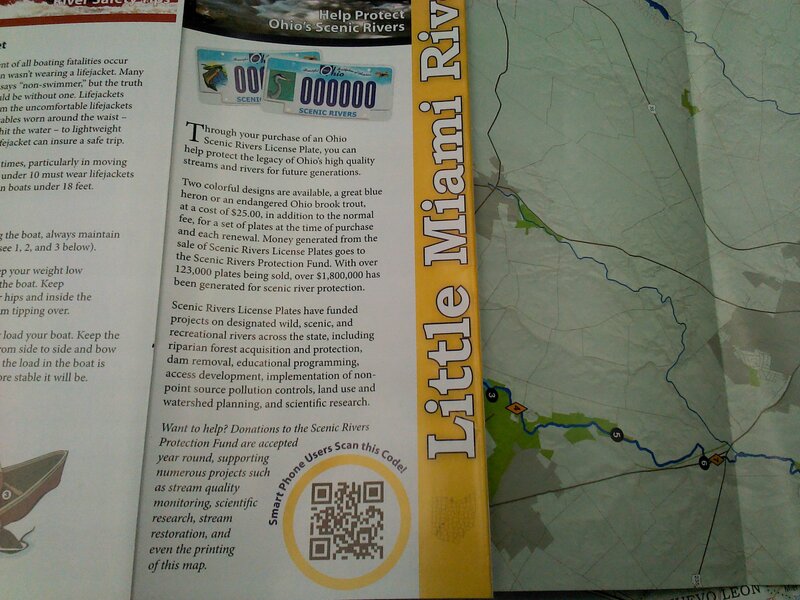 The Ohio Scenic Rivers Map uses a QR Code to direct people to the donation page. 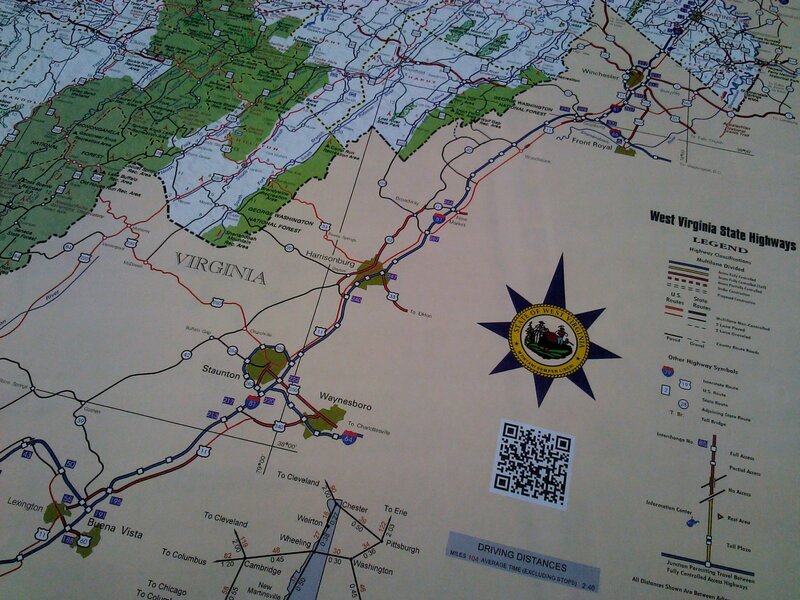 The West Virginia Official Highway Map has a QR Code that links to the West Virginia Department of Transportation. Here are a few more blogs about QR Codes that I like.